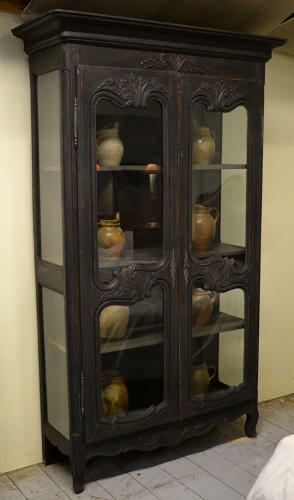 Late 18th / early 19th century Louis XV style glazed cabinet. Solid cherry hand carved armoire with glass doors and side panels. Painted in a dark graphite chalk paint and lighter charcoal grey inside.